My Christmas Guide is well and truly underway and I definitely had to add these gems into it. These three products are all super special just because they are the ultimate in relaxation remedies. I have reviewed the Dream Team before, but this year it is back with even more adorable packaging. Two perfect little products to keep by your bedside to send you off to sleep. One product can be spritzed onto your pillows and the other is a rollerball for temples and wrists. The beautiful lavender scent is what helps to relax your mind, enabling you to drift off much easier. Perfect for those with stressful careers or too many blog posts to write! The Neom Pillow Mist is a similar product and I have been loving spraying this onto my pillows before bedtime. 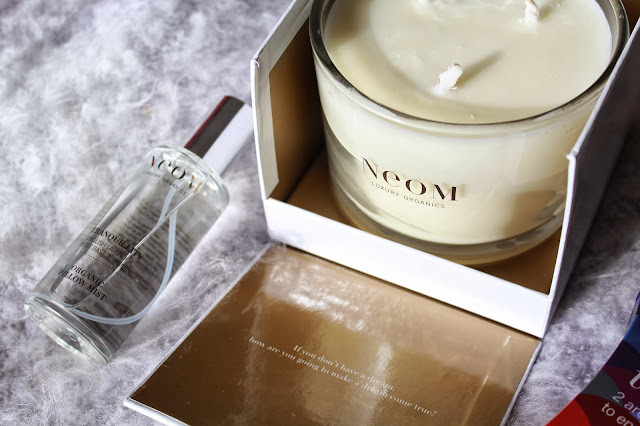 Im not sure if you can still pick this up but they sell room mists on the Neom website and they will do a very similar job seeing as you can spritz them onto fabrics. 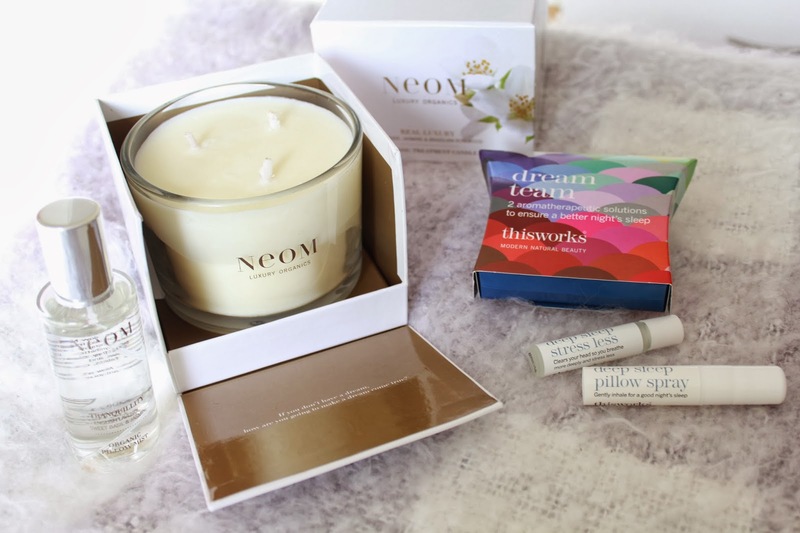 But the main relaxation remedy I feel is the Neom Luxury candle. The scent fills the entire room and leaves the jasmine scent lingering for hours. It has a burning time of around 50 hours and just gives you that cosy and relaxed feeling when its on. I just never want it to burn out as I actually adore it. Mine is around half way down at the moment and its upsetting me to keep lighting it in fear it will all run out. Yet, I love how it makes the room feel when its lit. The candle would be perfect as a present for your mum or a female family member. They are beautiful scents and last for so long, they are a really special gift for anyone. I know my mum loves hers. The dream team would work as a brilliant stocking filler, especially for those who have trouble drifting off. I hope this has maybe given you some ideas!